After months (years!) 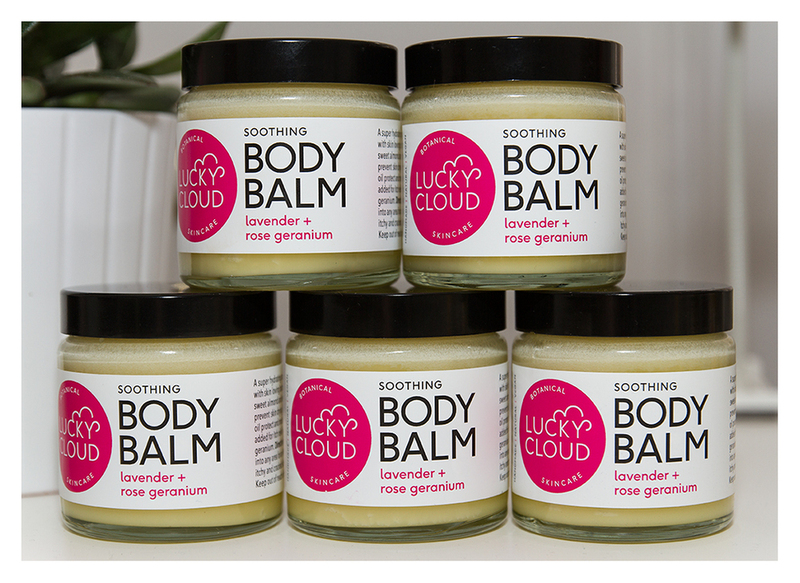 of planning, experimenting, road-testing, tweaking, paper-working, safety testing etc - I was ready to finally launch "Lucky Cloud Skincare". 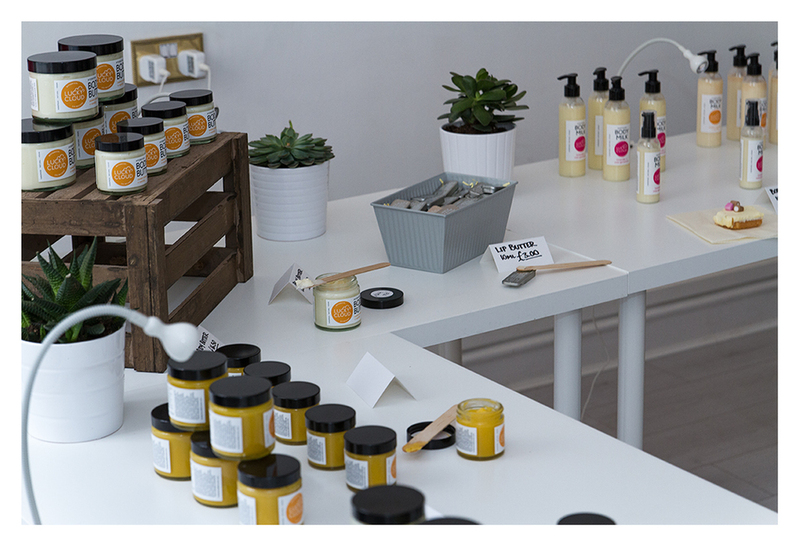 However, the whole idea of people actually using my products, holding them in their hands, judging (?!) them, well it seemed a wee bit daunting... so I decided to take a baby step into the world and hold a "soft-launch" for friends, family and friends of friends. I have to say, it was a great success! Lots of friendly and familiar faces turned up - all really encouraging, oozing positivity and support. Friday (3rd April 2015) was a private party. From 6-8pm there were lots of snacks, fizz, beer, music and good vibes. I may have over-indulged slightly (I blamed the adrenalin, lack of food and nervous energy...) and drank a few too many glasses of prosecco. Waking up on Saturday morning (4th April 2015) knowing I had to get up, put my best smiley face on and welcome even more people into the studio from 10am to 2pm.... well, lets just say I'd rather have stayed in bed. But as per the night before, adrenalin is a great thing! With help from a couple of amazing friends the day went, once again, really well. A more relaxed atmosphere with people drifting in and out and lingering a bit longer to chat. By 2pm, I was well and truly ready for a nap. By the time we were packed up and heading home it was about 5pm and I did go straight to bed and sleep a well deserved sleep! 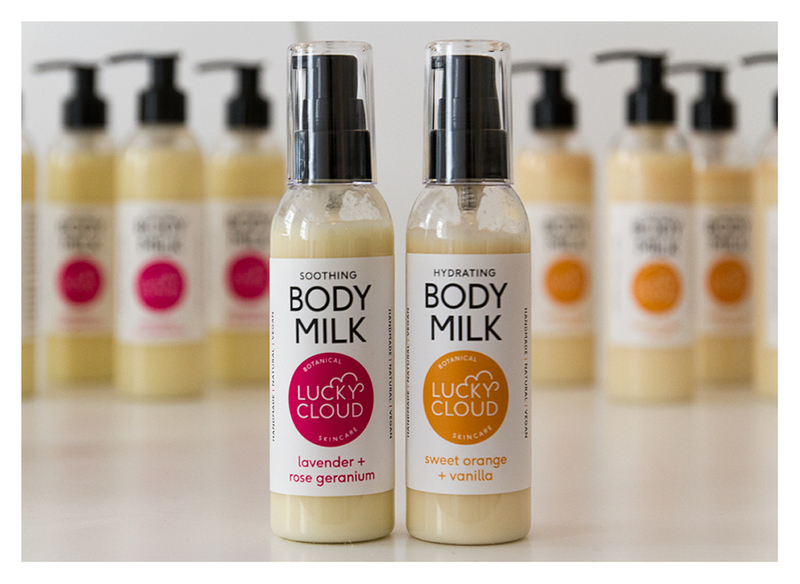 Thanks to everyone for coming along and making Lucky Cloud Skincare feel like a real business and showing their support.